Instant Songwriting – now in dead tree form! A while ago I contributed some backing tracks to a book project. 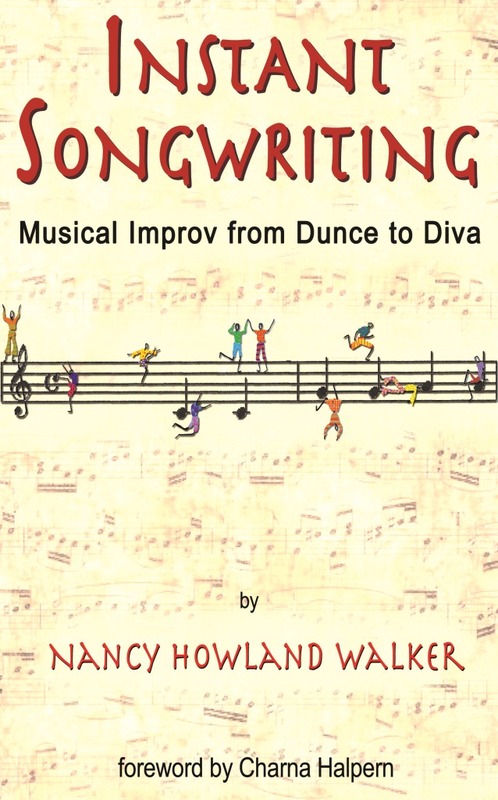 Instant Songwriting is written by Chicago actor/teacher Nancy Howland Walker. It’s a series of exercises designed for improvisers who want to acquire that magic skill of song construction in the moment. Through the first half of this year, its four parts (Dunce, Decent, Distinguished and Diva) were published as individual ebooks on Smashwords. Now the whole thing has been printed in paperback. BUY IT FROM AMAZON NOW NOW NOW! It’s US$15.95 and eligible for free Super Saver Shipping, as they say. If you need further inducement, many many tracks from the book (possibly all?) are freely available on the Instant Songwriting website. I’m in the company of amazing musos from around the world like Michael Pollock (Second City Los Angeles & Improv Olympic West), Mike Descoteaux (Boston ex Chicago), Jeff Bouthiette (Second City Chicago), Kris Anderson (Brisbane) and Joe Samuel (London). Tracks by me include a cheesy bossa, a big pub waltz, and a metal thing without much of a consistent key centre. Next week, Improsaurus begins training for their first ever long-form musical. 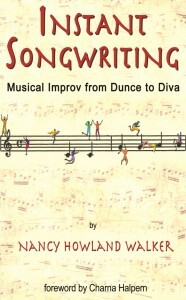 Instant Songwriting will be an important teaching text for me.